The Institute of Oceanography (IfM) is part of the Center for Earth System Research and Sustainability (CEN), which was founded in June 2011 and has the objective to promote research in the earth system and sustainability fields, expand interdisciplinary cooperation and to connect research with education. Our institute is also part of numerous national, European and international research projects and an essential element of the KlimaCampus Hamburg, which was funded with the beginning of the DFG Excellence Initiative Integrated Climate System Analysis and Prediction (CliSAP). 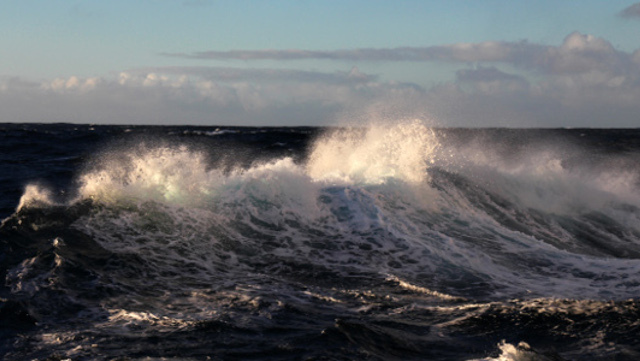 The scientists at the IfM work on the following superior research objectives: 'Ocean in the Climate-Earth system', 'Climate relevant processes in the ocean' and 'Dynamic and ecology of Shelf Sea systems'. For information about our wide range of research topics, please have a look under 'Work Areas'. Next to our research we want to give you an insight about our educational possibilities. Hence, under 'Education' you find more information about the degrees in physical Oceanography.